It was spring of 2017, and in a rare moment of quiet solitude, I was thinking. 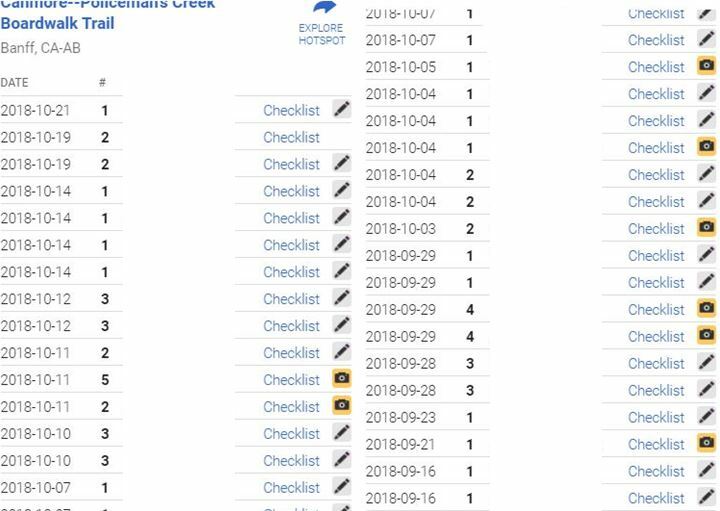 Thinking about my hotspot, Policeman’s Creek (see the eBird hotspot here for species and details) and how it was so little birded by anyone but me. Then it struck me – an idea that has prospered in Banff, something that a friend and I had halfheartedly tried in Canmore once – guided walks! It had failed on the first attempt in Canmore, but undaunted I began preparations for that year. 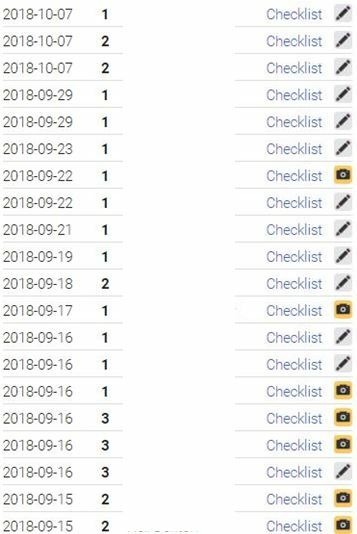 And what a success it was! 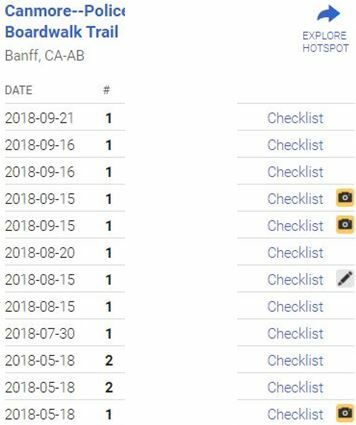 For a new event in Canmore, the participant numbers were great, and we detected almost fifty species across four walks – including a bird not reported in the county for over forty years (Bullock’s Oriole)! Due to such accomplishment then, I am once again leading these walks on Policeman’s Creek. Commencing at 7:00 AM at Canmore’s well known Big Head sculpture on Main Street, the walks will be held on April 29th, May 13th and 27th and June 10th. Already I have seen unusual numbers of waterfowl passing through the creek, and the spring promises to be a good one. I hope to see you all out on April 29th for the first walk! Contact me at birdboy.ca@gmail.com for more information. 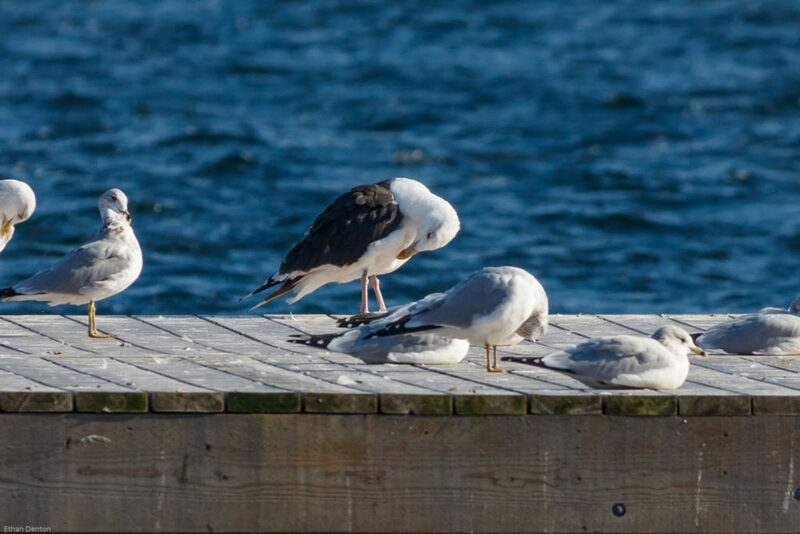 This entry was posted in Bird Behaviour, Birding Events, Birds, Other, Policeman's Creek Trail, Tips, Waterfowl on April 5, 2018 by BirdBoy. With spring migration hitting, Alberta birders are getting out more and more, looking for returning waterfowl, gulls, and raptors. One early migrant found me last week, a bird I had never seen before, only heard – Northern Saw-whet Owl! 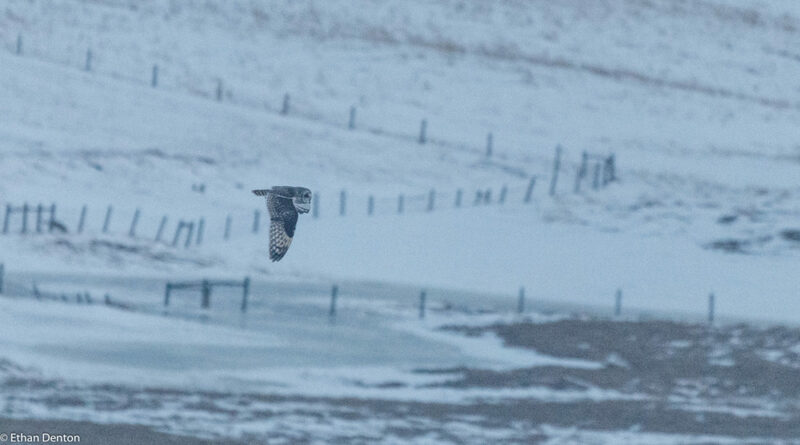 This was followed up by a big owling trip on Saturday – my Dad, two friends and I set out at 3pm to find 8 or even 9 species of owls, four of which were strictly nocturnal, four diurnal and one crepuscular (dawn/dusk). 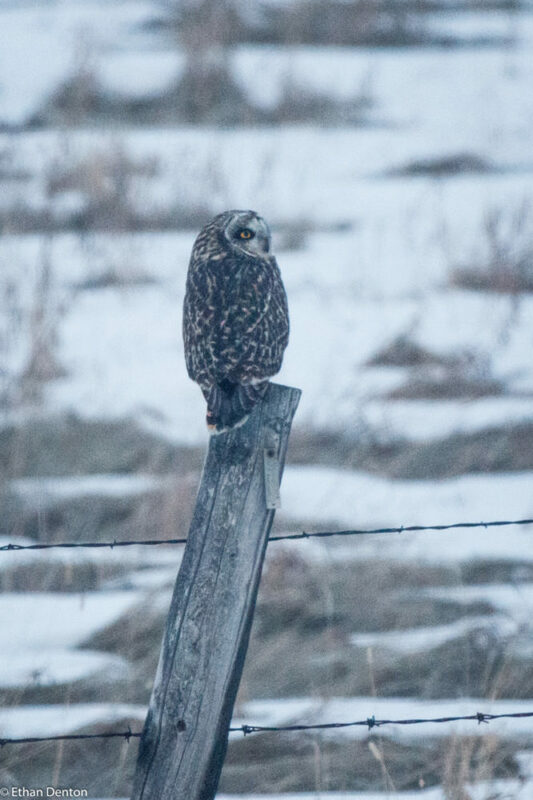 We started birding east of Calgary, where it didn’t take long to find many Grey Partridge, and a distant lump hunched on a pole which turned out to be a Gyrfalcon! 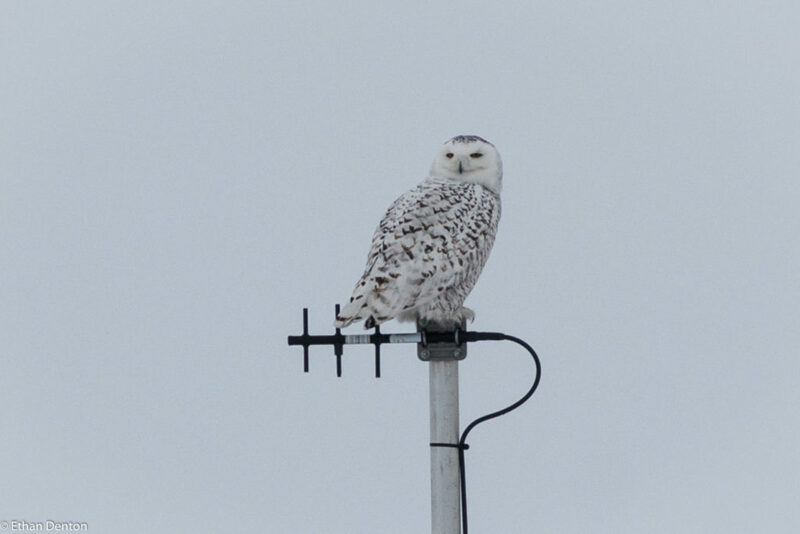 Shortly thereafter, we happened across our goal for that area – one of only a few remaining Snowy Owls. Most of these majestic raptors have already began the short flight north, but there are always some that stay behind for longer. From there, we aimed for the Water Valley area, hoping for Great Grey Owls and Northern Pygmy Owls. It didn’t take long! 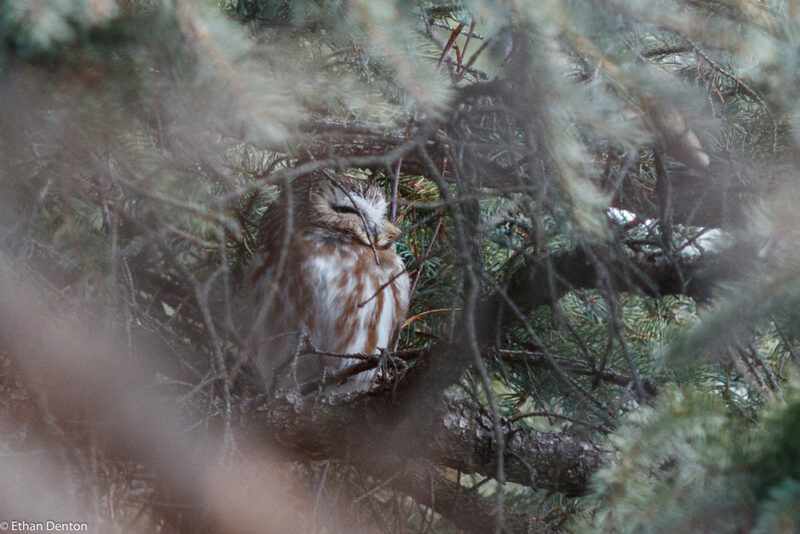 In the rapidly falling light, we found three of North America’s largest owls. A short detour to Winchell Lake area gave us the Pygmy we were looking for. Hitting a road where we had all seen our fifth target, the Short-eared Owl, we happened across another Great Grey, and not one, not two, not even three, but four Short-ears! Lamentably, these proved our final owls of the day, as none of the nocturnal birds graced us with a call at any of our numerous stops – where we knew there were owls! Ah well, the owl is a fickle bird, and will turn up only when it wants to – all we pitiful human observers can do is watch and wait for them. 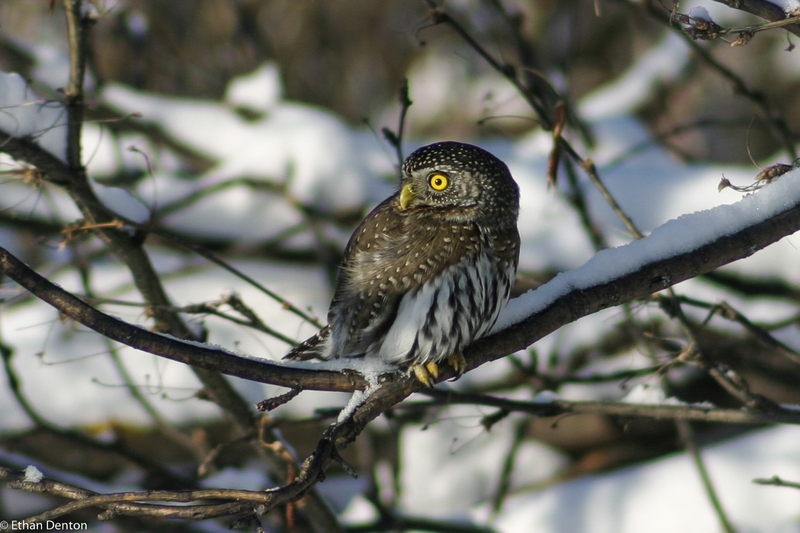 This entry was posted in Bird Behaviour, Birding Trips, Birds, Owling, Raptors on March 26, 2018 by BirdBoy. Not much to photograph recently! 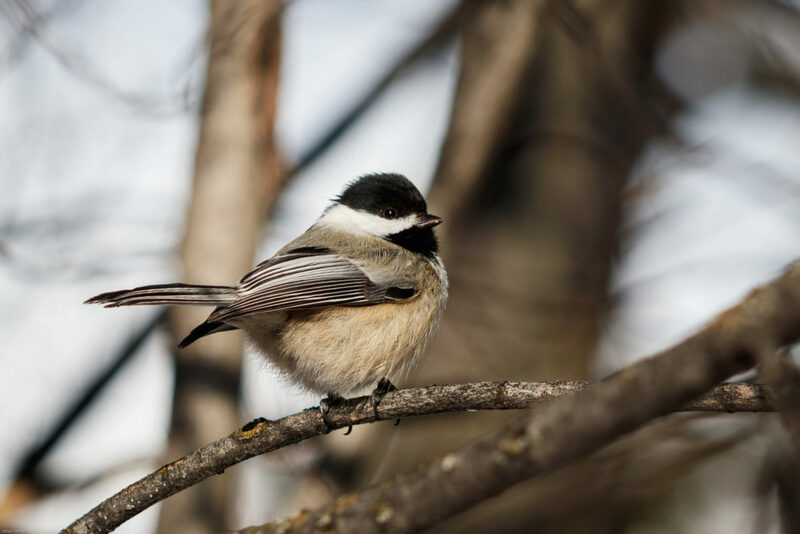 Here’s on of our ever-present Black-capped Chickadees from Policeman’s Creek. This entry was posted in Bird Behaviour, Feathers on Friday, Passerines, Policeman's Creek Trail on February 23, 2018 by BirdBoy. Sticking to a ‘winter bird’ theme, here’s a Bohemian Waxwing. 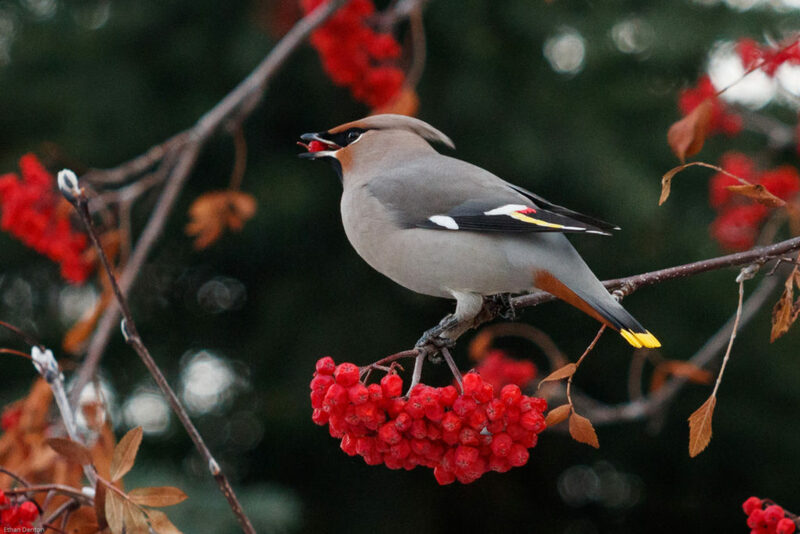 They are back in town and feeding rapaciously on mountain ash berries. 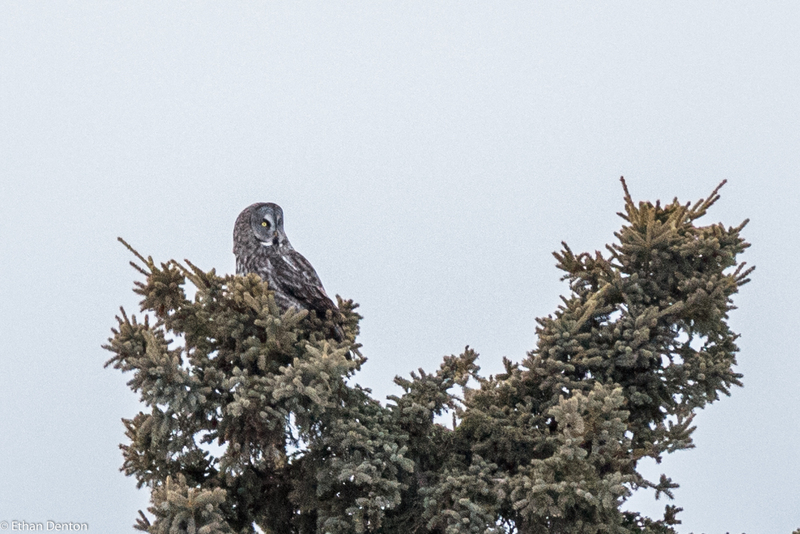 This one was part of a 50+ flock in Canmore, with a hungry Northern Shrike watching on…. 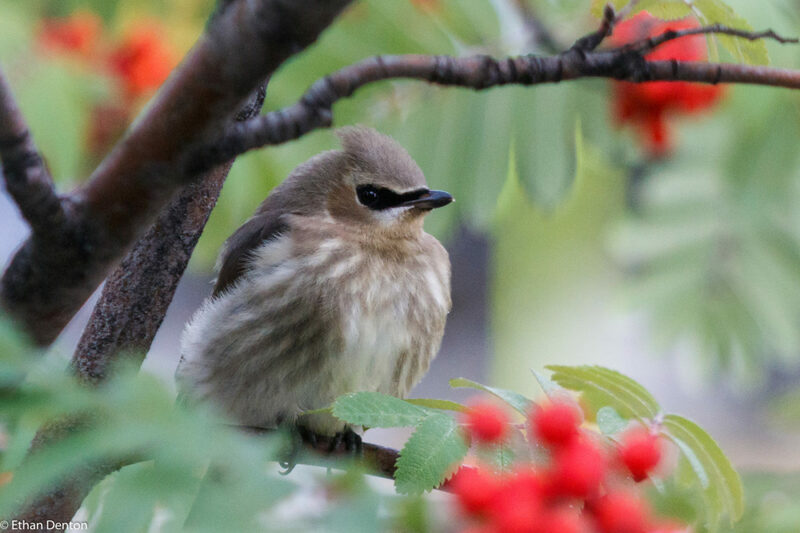 This entry was posted in Bird Behaviour, Bird of the Week, Birds, Feathers on Friday, Passerines on November 24, 2017 by BirdBoy. 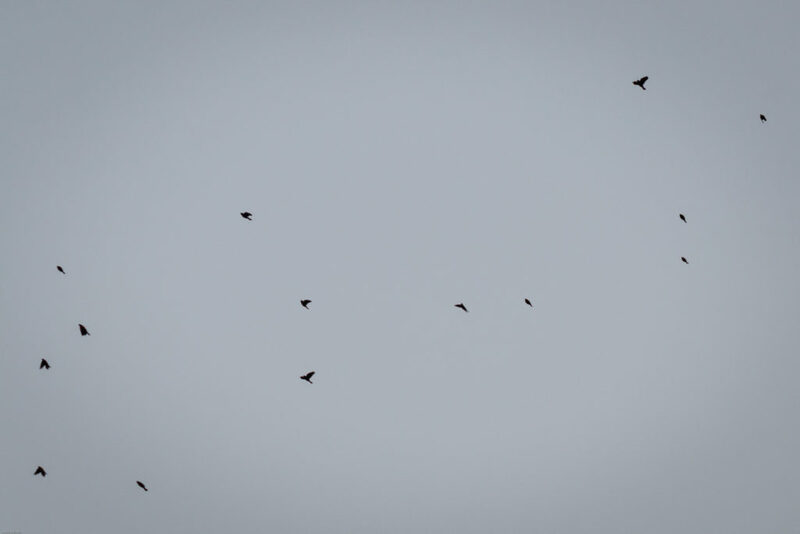 It was perhaps the most uneventful trip to Ontario to date, in terms of birds. Previous visits have resulted in sights such as breeding Prothonotary Warbler, Green Heron and Bobolink. This time, however, we were not headed anywhere like Long Point, or even as far as Toronto. While this did not prevent us from seeing some good birds, it did mean that we wouldn’t be watching Blue-winged Warblers and Scarlet Tanagers. We arrived in Ottawa airport at 11:00 PM eastern time, sleeping at last at around two AM. This late night arrival gave my Dad and I the opportunity to slip out to a nature preserve while the others slept in the following morning. The South access was barren, with naught but a Turkey Vulture seen, but the North was more productive – 25 species in a couple of hours. 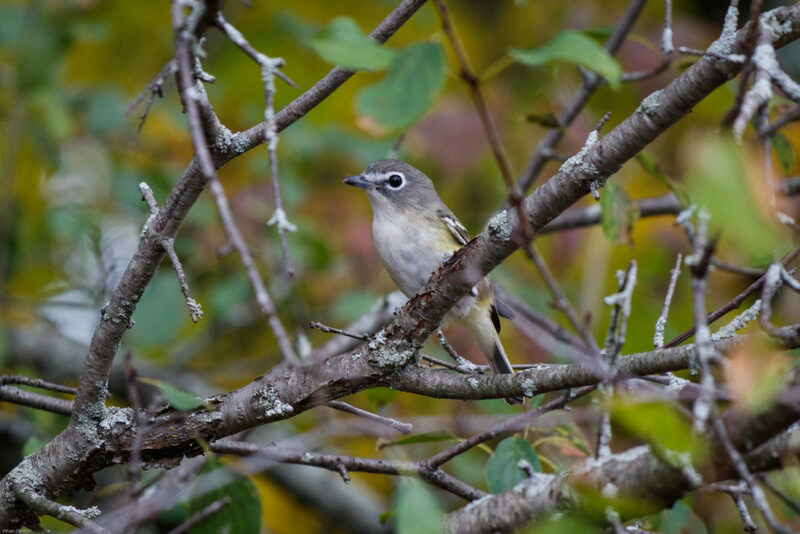 Standout performers included four Blue-headed Vireos, an Eastern Towhee, some Eastern Pheobes and a Rusty Blackbird. The next few days were spent in Maitland and Brockville. Cormorants and Ring-billed Gulls remained prominent throughout, but species such as Grey Catbird and Lincoln’s Sparrow mixed among Northern Cardinals and ubiquitous Blue Jays to exhibit a dazzling spectrum of colours. Hooded and Common Mergansers swam with the Mallards in the river, while Turkey Vultures wheeled above. There was, all in all, a good variety of birds. While the weather did not co-operate, Red-winged Blackbirds, White-breasted Nuthatches and Black-capped Chickadees were all quite cheerful, presenting themselves in numbers throughout the trip. One of the biggest highlights of the time in Ontario was a boat tour of the Thousand Islands. 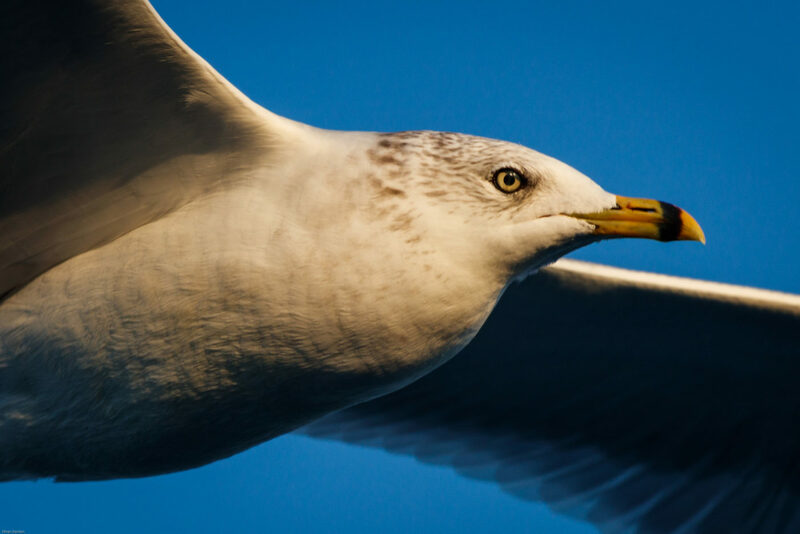 The first bird ended up being the best – a mature Great Black-backed Gull! 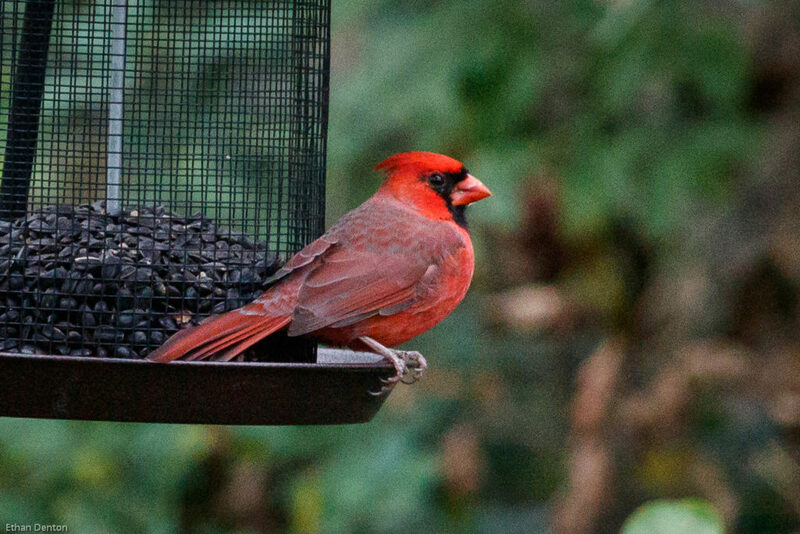 Not a lifer, but a Canada first and a very nice bird to see. Over the course of the trip, we would see three more of these impressive birds, but the above photo is by far the best view we had of one. Thousands of Double-crested Cormorants swarmed the rocks, buoys, islands and houses while Mallards and Canada Geese littered the blue waters. I spotted a few American Black Ducks, Common Loons and Common Mergansers, but the best waterfowl of the day was a small group of six Red-breasted Mergansers flying past the ship. 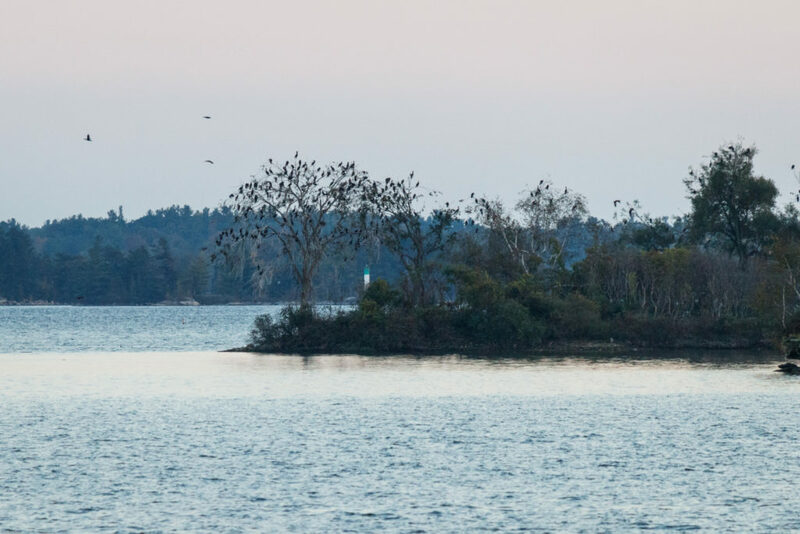 The cormorants made it look like bare trees were covered with leaves, from a distance. 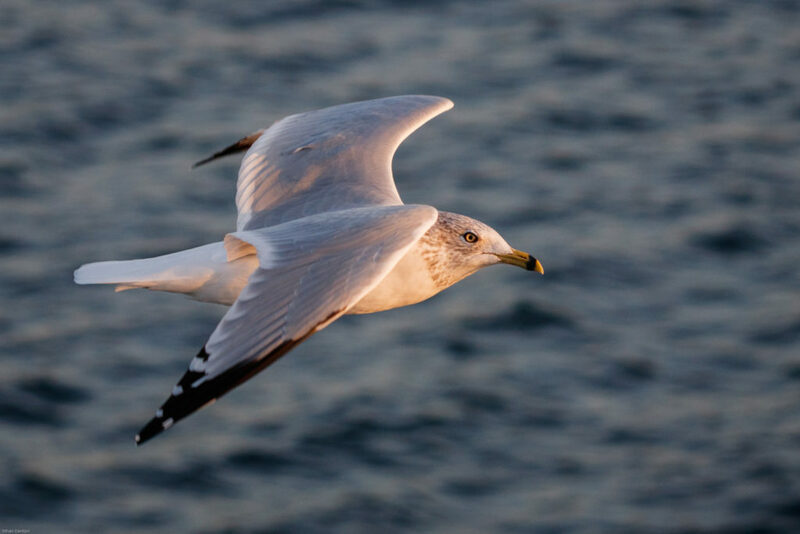 Returning in the evening light, a flock of maybe fifty Ring-billed Gulls accompanied the boat, floating on the air thrown up, effortlessly keeping pace with us almost all the way back to the docks. Naturally, I took some photos, as they were keeping beside and slightly above us, providing many excellent opportunities. My favourite shot, however, comes from when one dipped down to the second level, and I took one from above it. Later in the evening, they became much more bold, and even landed on the moving watercraft just a few yards away from people. Two days later, we drove out to Arnprior, to visit a friend who’d moved from Canmore; incidentally the very same who began this site for me! On the way, we breezed by Wild Turkeys, wild Turkey Vultures, and even possible Eastern Meadowlarks – what would have been lifers, if we had stopped to confirm them. 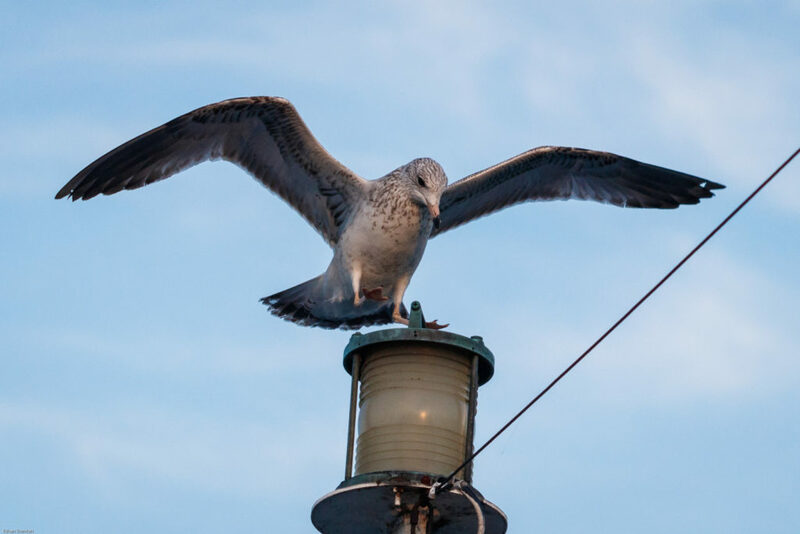 Once there, a walk around the town centre turned out the first Dark-eyed Junco of the trip, more Herring and Ring-billed Gulls and some European Starlings – dazzling birds in the right light. 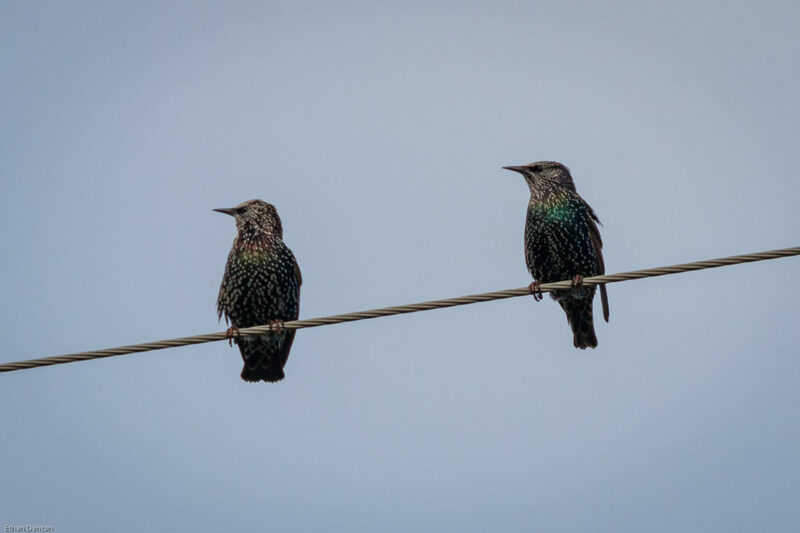 Friday morning, back in Brockville, we headed out on a non-birding expedition which nonetheless proved fruitful – so much so that we went back to the same place two days later. On both journeys, the abundance of White-throated Sparrows and icterids (blackbirds) surprised us, with over 40 individual sparrows identified. 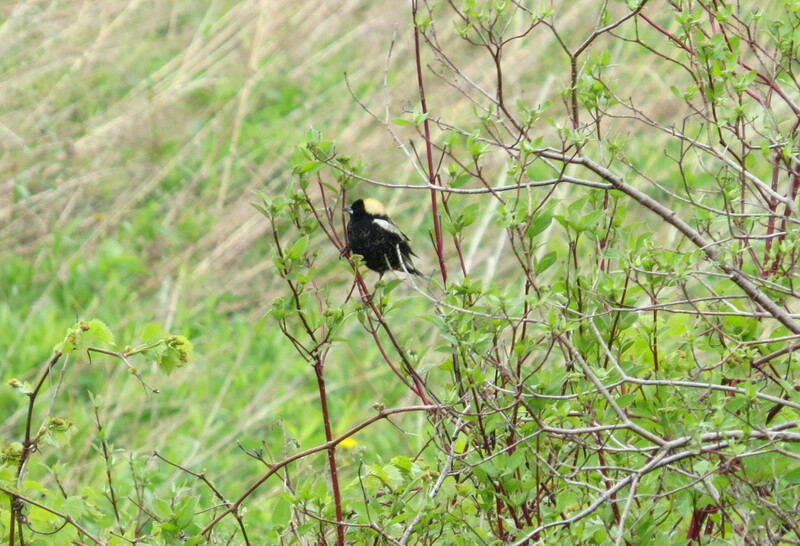 The second time, a Mourning Warbler shone out, partnering with another Blue-headed Vireo as the stars of the show. 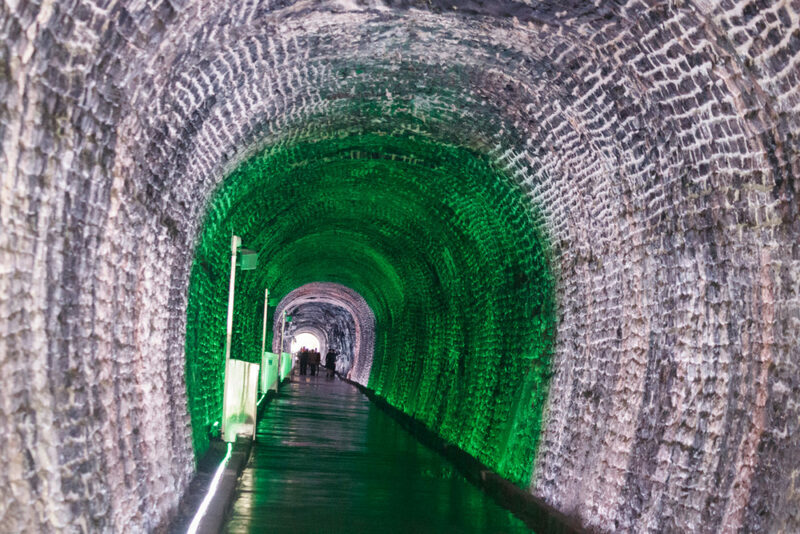 On our last day in Ontario, we visited Brockville’s most famous sight – the Brockville Railway Tunnel – an older tunnel that has been transformed to a tourist attraction – complete with loud, trashy music, no less. Still, the sight was cool, and they had excellent lighting features. And that concluded our trip to Ontario! 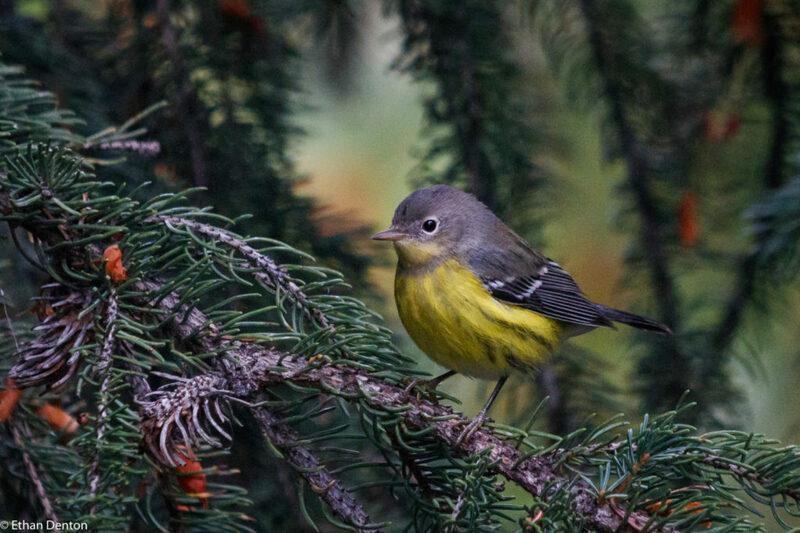 We boarded the plane that night, and left the land of warmth and warblers for the snow and cold of a Bow Valley October. Thanks for reading! 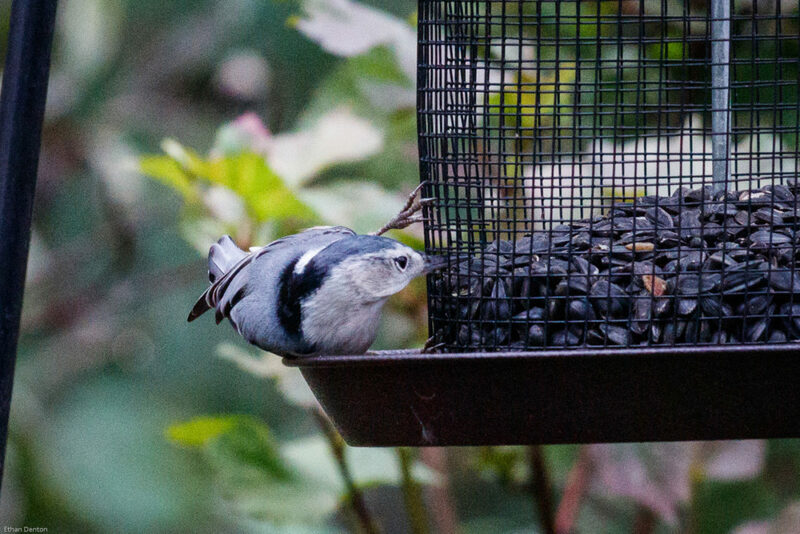 This entry was posted in Bird Behaviour, Bird Feeding, Birding Trips, Birds, Gamebirds, Other, Passerines, Raptors, Tips, Waterfowl on November 12, 2017 by BirdBoy.